Steel and fiberglass have different properties. “Tell me something I don’t know,” you’re thinking, right? But fiberglass conduit is no longer the new kid on the block. Its uses have changed dramatically in the last 20, even 10 years. So yes, PVC-coated steel conduit and fiberglass conduit have different properties, but many of the same uses. Sometimes one is going to be a clear winner over the other. No one is disputing that. 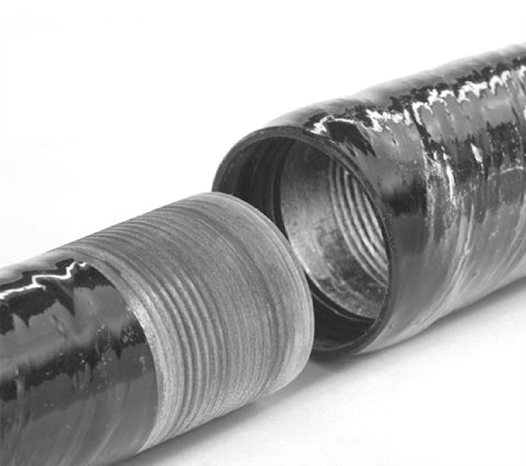 However, as fiberglass conduit has been steadily improving in both design, breadth of application, and overall quality, one can now say that there are quite a few misconceptions about this corrosion-resistant, lightweight product. Additionally, those misconceptions, based on erroneous information, might be costing YOU money. Here are just five of the things decision-makers assume about fiberglass conduit when specifying projects – assumptions that could be eating up your budget. Ah, the old quandary of “perceived value.” Psychologically, it requires buyers to remove price from the equation for a moment, and instead consider the true value of each option. (Does expensive always mean “better” in your experience?) When comparing PVC-coated steel conduit to fiberglass conduit, in almost every case, fiberglass conduit comes out ahead as the better option. The better option that just happens to have a much lower material cost in addition to all its other positive attributes. Once you’ve moved on to installation, fiberglass continues to win the race even more. Installing heavy PVC-coated conduit to design specifications requires much more manpower and equipment. That’s not typically on-hand in the field for a contractor. MYTH 2 – Material Costs Might Be Lower, But Installation Costs Will Be Higher. MYTH 3 – Fiberglass doesn’t really have an application in my industry. It seems there was a time when fiberglass conduit’s many uses were a mystery. Who was using it? What were they using it for? Why were they using it? Above ground? Below ground? How was its long-term performance in different environments? Those answers are now readily available. You can talk to representatives from the waste water treatment industry, and those who work in chemically corrosive environments, or primarily in bridge, tunnel and other types of installations to see how fiberglass has stepped in with a product that offers superior corrosion resistance at low costs. Read about fiberglass conduit’s place in the Niagara Falls Observatory project, or learn more about how fiberglass conduit met Intrepid Potash’s rigid set of requirements. If those don’t convince you, maybe the part fiberglass conduit plays in the mighty Hoover Dam—national monument and fully functioning power station—will sway you. In each of these instances, it was fiberglass conduit’s ability to stand up to a wide range of corrosive and ambient environments that led engineers to choose it. MYTH 4 – It’s just not strong enough. Ouch. That one hurts. Especially because it’s not true at all. Fiberglass conduit is a rigid conduit and is now approved for Class I Division 2 per the National Electrical Code, NEC. This tough, rugged product can absorb a significant mechanical impact, compressing and flexing back to its original shape without affecting its serviceability. It offers superior vibration resistance, especially useful in the utility and energy fields. It also offers zero burn-through, fault resistance and a lower overall coefficient of friction when compared to PVC-coated steel. MYTH 5 – It’s plastic, so it must be toxic. Safety comes first when you’re considering materials. We’re only putting it last on this list so that it will stick with you. Fiberglass conduit is a non-toxic material, unlike PVC conduit and other thermoplastic conduits. When accidents, especially fires happen, the chlorine or bromine released by PVC-based materials aren’t an issue with fiberglass. Fiberglass conduit, if subjected to fire, emits very low smoke and zero halogens. Fiberglass doesn’t conduct electricity – it serves as an electrical insulator. Put plainly, an electrical fault within a fiberglass conduit won’t turn the entire conduit into an electrical safety risk. In a field where over 500 contractors suffer preventable, fatal electrical shocks every year, fiberglass offers a peace of mind you just can’t put a number on. Today we offered you the five most common misconceptions about fiberglass conduit that could be costing you money. We covered strength, cost, safety, ease of use, toxicity – well you read the list. But there are many more reasons that fiberglass deserves another look. Learn more at championfiberglass.com. We’ve got the facts that will change your mind and your bottom line. If you have any other concerns, please contact us so we can put your mind at ease. This post courtesy of Champion Fiberglass.